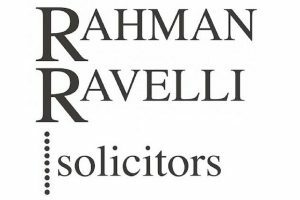 Aziz Rahman of crime solicitors Rahman Ravelli explains why caution is crucial when looking to do business in other countries. Everyone in business wants to make a deal, especially if it is on particularly favourable or rewarding terms. The old saying about going where the money is has a ring of truth about it, as it will always be a shrewd move to gravitate to where a good deal looks possible. And if that means going abroad to secure those deals, then why not cross borders and see what can be achieved new markets? But, without wanting to sound pessimistic, you have to be aware of the risks. That is because although trading abroad can be a rewarding chance to make profits and gain a share of markets in places that want your goods and services, it can present a unique set of challenges. Which is why it is advisable to exercise caution and forward planning in order to stay on the right side of the law in the countries where you trade. It sounds obvious but different countries have different laws. But those in business need to be aware of the ones that apply in all the places they trade – and take precautions. As an example, there are countries where bribery is viewed as a routine part of doing business. Yet while bribery may be a practice that does not prompt penalties from the authorities in those countries, it can lead to you being prosecuted in the UK. The UK’s Bribery Act makes it possible to prosecute any UK company for its involvement in bribery anywhere in the world. If you do use a bribe as part of your business in any country where bribery is rarely if ever prosecuted you could be facing up to ten years in prison or an unlimited fine here in the UK. Similarly, the risks and penalties are high if you become involved, regardless of whether you knew about it, in money laundering. Countries that may previously have had little interest in investigating money laundering are now introducing measures to clamp down on it. There is also greater cooperation between countries around the globe that want to tackle money laundering. This can lead to more companies being investigated. But it can also have the effect of making the money launders go to increasing lengths to disguise their activities – including using companies as unknowing vehicles for their movement of the proceeds of crime. There is great value, therefore, in taking proper precautions to ensure that you do not become involved in any form of business crime while trading abroad. Your approach, in whichever country you wish to do business, should involve researching the country and your potential trading partners. A country where you hope to trade may be the subject of sanctions and export controls. Breaching these through dealings with government organisations, companies or individuals could mean criminal penalties or large fines. Checking a trading partner’s background is especially important if your relationship with them involves moving money or assets. Issues such as proof of identity and establishing who exactly stands to gain from a deal must be examined. A failure to do this can offer great opportunities for anyone looking to defraud you, use your company as a means to launder money or set up deals as a front for other criminal activity. If you are trading abroad you may not be as wise to the risks as you would be if you were doing business in the UK. Such checks are a necessary part of doing business. If you are concerned about ruffling anyone’s feathers, it is worth remembering that a legitimate potential trading partner would have no problem complying with your request for information. Making the relevant checks is only part of the process. Companies must have procedures in place so that they know how and to whom they should report any suspicions. Such procedures must be properly maintained and enforced as poor and ineffective procedures will make it hard to defend allegations of wrongdoing anywhere in the world. Your procedures must take into account the trading risks in each country you aim to do business in. Taking legal advice about such dangers and the most appropriate procedures that can be introduced to minimise the risks can be a worthwhile investment. For example, limiting the cash amounts involved in deals, making staff responsible for checking funding sources and restricting use of company accounts can all reduce the possibility of wrongdoing. A failure to take the right steps can lead to some very close scrutiny and difficult questioning: and that is never the aim of those who are looking to trade abroad.